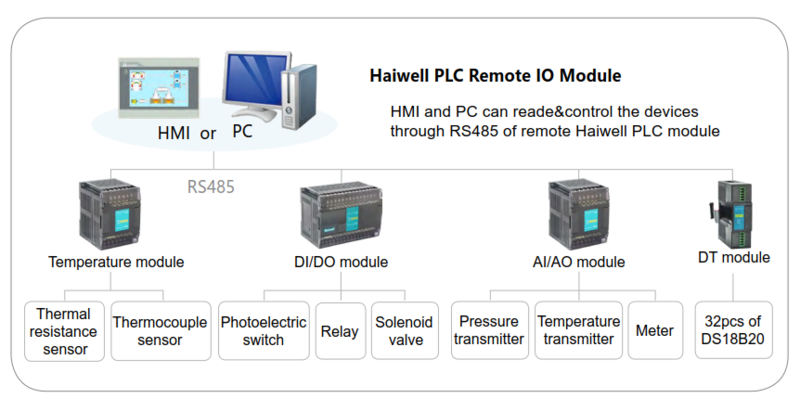 PLC Functional Modules-Xiamen Haiwell Technology Co., Ltd.
● The design of industrial grade standard applies to different kinds of harsh industrial environments. ● Provide 24 bits high resolution and support multi-segment calibration. ● Supporting 4 or 6-wire weighing sensors with multiple eigenvalues, customers can adjust their reaction speed according to their requirements, so that accurate weighing can easily meet most of the demands of the current weighing application market. ● Provide the current weighing status bit flag, asisit on-site automatic weighing control. ● It has the functions of standstill check and zero point detection to effectively restrain zero drift of load cell. ● Weighing module can be widely used in packaging, food, chemical industry, metallurgy, building materials, feed processing and other fields.